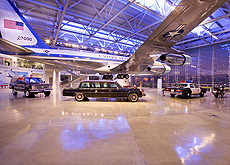 The Ronald Reagan Presidential Library and Museum is one of Southern California's most unique and beautiful destinations. Step aboard and tour through his actual Air Force One. View an exact replica of the White House Oval Office. Glimpse a fragment of the Berlin Wall. Reflect at President Reagan's memorial site, where he was laid to rest on June 11, 2004. 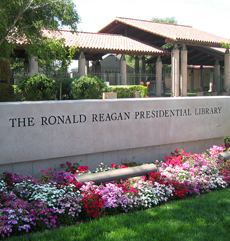 The Reagan Library also has two restaurants and offers special tour group meal packages.